Customer experience is biggest thing in customer retention, and technical glitches, even minor ones, can have an enormous impact on a consumer’s perception of a company. Combine that with the undeniable fact that today’s contact centers (CRM) are extremely complex—featuring multiple communication channels, self-service applications, chat, agent groups,and the result is companies that sometimes are unaware of an issue until it is reported by a customer. Frustrated customers take their business elsewhere, and with word of mouth as a powerful influencer, they’re likely to take their friends’ business with them. With the advent of social media, a complaint that a few years ago would have been aired to a small circle of family and friends can now easily reach thousands, and potentially even millions, of others. For Ex:- ABC comapany is not giving proper answer and not happy with their CRM team and shared it on social meadia like facebook and twitter. It goes viral in few minutes and also take your business in any direction. Tracking certain key performance indicators (KPIs) is vital to better understanding the customer experience. Voice quality of service. Degraded voice quality does not reflect well on any company. It also leads to longer call times, since customers and agents struggle to understand each other and may be forced to repeat themselves. In extreme cases, customers will hang up and try again. A seemingly simple issue like poor voice quality can be extremely costly in both customer loyalty and overall value per call. Repeat calls. A measurement of how many times a customer contacts the company before the issue is corrected, this KPI reflects how successfully agents are able to satisfy callers the first time. Call abandonment rate. High abandonment rates indicate application problems, incorrect routing latencies in back-end communications, or inefficient management of customer service resources. These conditions result in frustrated customers who are unable to get their problems taken care of in an efficient and timely manner. Call blockage rate. A metric utilized by most contact centers today, the call blockage rate calculates how efficiently customers can access services. When applications are not working correctly or the contact center cannot handle the sheer volume of customer inquiries, calls are not answered. A high blockage rate directly impacts customer satisfaction. No company can afford to lose a customer as a result of a technical glitch. Implementing performance monitoring solutions to provide an end-to-end view of KPIs across the entire contact center can prove priceless in contributing to customer satisfaction and increasing a company’s bottom line. 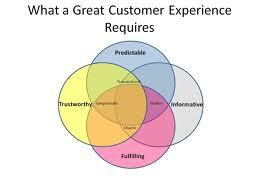 In the end, customers just expect top-notch service whenever, and however, they choose to contact you. The World Wide Web (www) is a tool with endless limits. Creating and maintaining a business presence online is more practical than ever before. With the immense amount of information on the Internet and users largely having the control to view exactly what they want, getting your product in front of potential customers can be challenging to say the least. Over the years, I’ve learned a lot about what works (and what fails terribly) when it comes to marketing online. Today, times are tough. Most companies have little room left in their tight budget when it comes to marketing. Here are some of tips to follow to develop a successful online marketing strategy on your startups limited budget. Your marketing strategy will never be successful if you do not have a clearly defined audience. Before you spend a time on marketing, figure out your target market first. If you know your product, you should be able to figure out your market yourself. For example, who will be most interested in your product? Men or women? What is their age group? What are your customer’s interests? What is their likely financial situation? Once you have a thorough profile of your customer, determining how and where to reach them is much easier. If you start marketing before you have a clear customer profile though, you will likely be wasting your rupees in places that will never reach your customer. It is important to determine what you are looking to achieve from online marketing. Increased awareness? Increased revenue? You will probably have multiple goals, but keep track of what they are so you can measure your success. When you reach your initial goals, set new goals so your company can continue to improve. Now when you know who your target market is and have set goals, plan your budget accordingly. The good thing about online marketing is that you can be successful even when on a tight budget. A lot of platforms are available at no charge. Carefully determine what outlets are most necessary for your product and be willing to spend some money to get results. Set yourself apart from the competition. There are thousands of companies trying to sell products on the Internet. Thus, you need to make your brand unforgettable. This begins with your website. 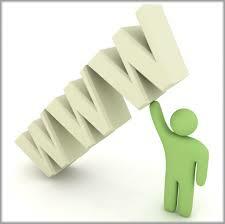 Your domain name should be your company’s name if at all possible. If there are other companies online with names similar to yours, you may even want to consider changing your name to one that will not be easily confused with another product. The way you want your brand to be viewed by customers is really up to you. But once you figure it out be consistent and stick with it. Having a professional website and a strong social media presence is important here, but you should also take the time to interact with potential customers and build relationships with them. When someone enters a search query into a search engine about something relevant to your company, obviously you want to be one of the first results displayed.This can be achieved by SEO. SEO can admittedly be a complicated and time consuming process, however the time needs to be spent here to ensure your website is getting found. Top on search will increase you conversion rates as well. Magento 2 development team were on-hand to share key changes in Magento 2 project and discuss technical changes and developer recommendations. Team Magento working hard on making it more improved. Magento 2 is an open source eCommerce R&D project facilitating the improvement of Magento Core products. With the new and improved features in Magento 2, it offer more functionality to merchants and continue to grow with the platform. Magento 2 is a prospective future version of the Magento e-commerce software, currently still in the development stage. • Magento 2.0 will run on PHP 5.3 and Zend Framework as 1.0. And it will support MSSQL, Oracle and some other database as well. We can see that Magento keep growing and seek to support more and more popular platform soon. • Performance is always an issue for Magento so it is recognized as resource hungry and not efficient. The team of Magento keep improving the performance of Magento version by version. With the 2.0, the performance of Magento will be expected at least 20% more faster than the latest Magento 1.x versions. 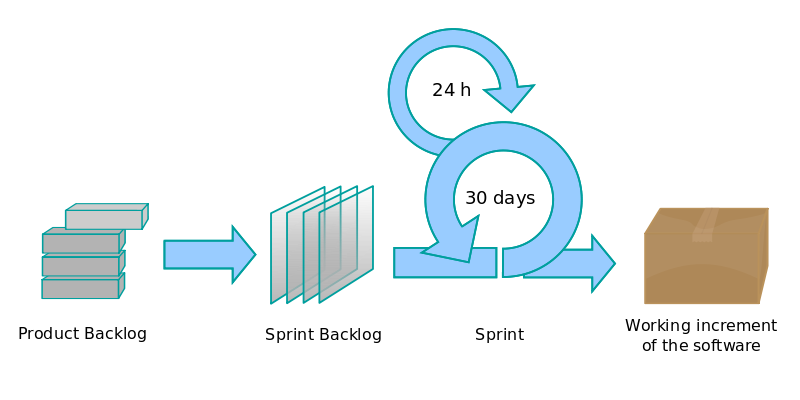 • The modules like catalog, customer, checkout, CMS, sales, etc will be components with high code coupling between each other. Now if you don’t want to use a certain module, you can simply disable it and write your own one. • Magento uses Zend Framework but you can’t get this information easily as the directories structure of Magento 1.x series are quite different from the Zend Framework. For Magento 2.0, the directories structures will be quite similar to the Zend Framework. 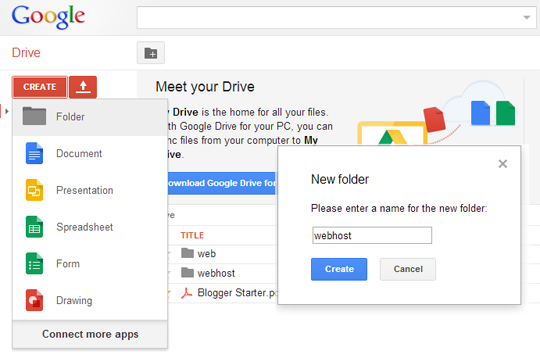 You will also find some of the change in design of admin section. You can change the view and layout display. 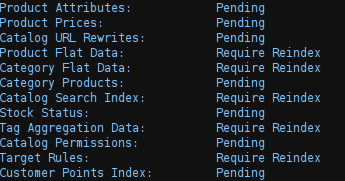 Release Plan:- Release plan for magento has yet not declared as they are working on it as expected to release their alpha first and then solving all the bugs in beeta phase. Excited to see Magneto2. 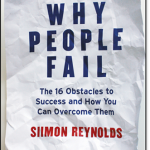 Few days ago, I was studying a book named “Why People Fail” written by Siimon Reynolds . It examines the 16 biggest obstacles to success and how we can overcome them. What I concluded from the book is that most of business also fails due to same reason. People usually don’t just discover great products. If you build a great product then believe me nobody can beat you. You need to develop a way to cost efficiently attracts leads, then convert some of them. This seems so basic, but hundreds of thousands of businesses start with no clear marketing funnel and then have to rely on luck or referrals to get customers in through the door. What’s your marketing funnel? Will you start with print ads? Google ads? A free offer? Direct mail? Unless you develop a system for marketing, your chances of making money consistently are minuscule. NO FOLLOW UP OF CUSTOMERS. Once you’ve got an inquiry from a potential customer, you have to stay in contact with them. And keep following them. So many business owners are unaware of the importance of this. Even if they get hundreds of inquiry from potential customers but they treat them as normal routine. Give them a reason to leave you their email address (a free report, a discount, a newsletter) then keep reminding them that you exist and that you sell some good stuff. You’d be amazed how well this works. This doesn’t just work for potential customers it works just as nicely for people who’ve already bought from you. Just stay in touch and many will buy from you again. There are two types of businesses you can run. A talent based business and a systems based business. A talent based business relies on the talents of a few key people. It can make more money but it creates dependencies. System based system is far better but it can be a bit of a hassle initially. But once you do the place will run smoothly and definately more profitable. Few people encounter a year of obstacles and just lose hope that things can change. Believe me, the corporate world is full of examples of companies doing it tough, then emerging triumphant. So don’t loose your hope. With persistence, self belief is vitally important to the success of a business. When you have strong self belief you think better, sell better and lead better.Potential clients sense it, are attracted to people who possess it. You tend to become what you think, Whether you think you can or can’t, you’re right. The final reason businesses fail is simply that they sail too close to the wind. All they need is a little bit of bad luck – a tough six months, a senior staff member who leaves for a rival firm, and they find that they simply don’t have enough cash to survive. There is no margin for error so take a calculated risk only. So take a look at these six causes of business failure. Ask yourself whether any of them apply to you. If you’re weak in even one or two of these areas your entire business could be in trouble.